The founder of Pennylane, Adam Forgione, has recently co-founded a new music library which has now become an incredible resource of music for Pennylane films. 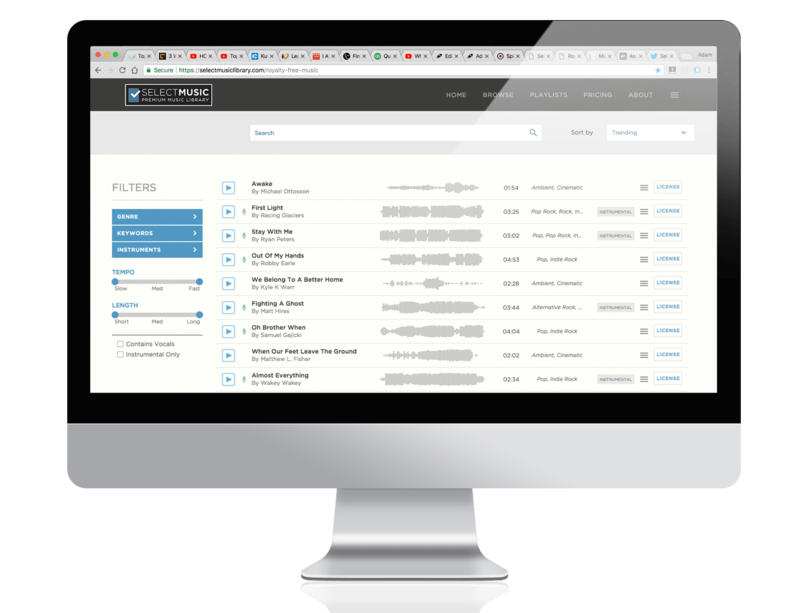 Select Music Library was launched to the world on Feb 19, 2018 and the response has been great. Many wedding and commercial video production studios have been turning to Select Music for their music licensing needs.